Anne is Managing Director of Hamilton Advisors, a strategic communications firm she co-founded in 2009 in Hong Kong, and works with a range of clients in financial services, investment, property and think tank/NGO sectors. Anne enjoys music and visual arts, hiking, swimming and travels involving cultural heritage and the beautiful diversity of nature, reflecting the goals of LumiVoce. She and husband Robert Grieves are inspired to lead more sustainable lives by the example of their two millennial daughters, Alex and Tory. Carol came from Michigan, USA - now living in Shanghai, China. She is a choral music educator, conductor and singer who loves to collaborate in interdisciplinary projects. When Dr. Liu introduced this unique project and backed it up with the a wide array of alarming incidences that are destroying our wildlife and their habitats, she was immediately moved to help spread the message to the world. With her expertise in choral performance and education, her presence in the team brings valuable insight for different projects. Monica grew up in Canada and graduated from University of Toronto with dual major of Labour Management and Urban Economic Geography. Born in Hong Kong, she loves nature and enjoy outdoor sports. She was moved by the passions and enthusiasm of Dr. Liu who wanted to make a difference through the art of voice. Art, to her, is a powerful mean and can impact a person much deeper than any other ways. LumiVoce's creative and unique approach to conservation which drew her attention and inspired her to be part of the team. Paul has been ardent conservationist his entire life. Born in the US mid-West, at age 12 he came “home” to the Sonoran Dessert where he promptly joined the Tucson Sierra Club. He has been active in conservation matters ever since through a variety of organizations including the Youth Conservation Corps, the Wilderness Society, the Nature Conservancy, and now LumiVoce. Paul is married to Dr. Liu, and together they share a passion for wilderness and wildlife. 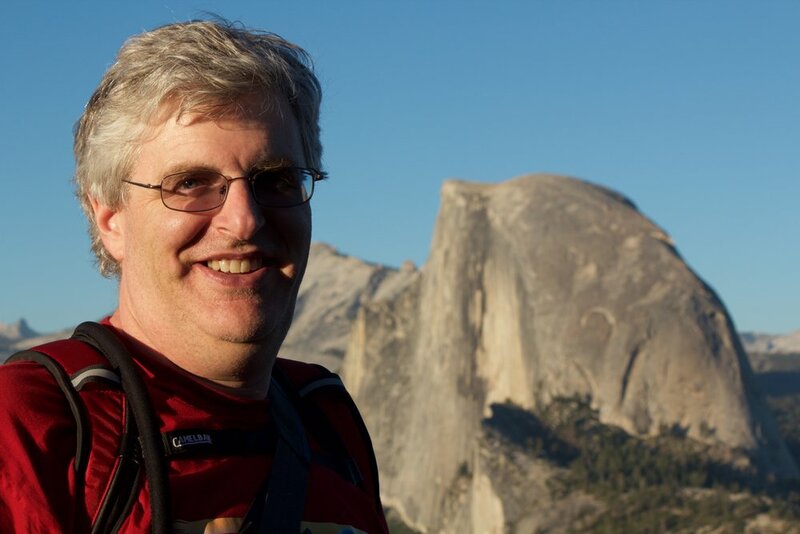 Being a lover of the outdoors, Paul was an avid rock climber, and he now enjoys biking, skiing, hiking and kayaking. Robert is a professional producer and musician who worked in numerous music projects and fine art programmes with over 20 years of experience. His participation in LumiVoce stems from a vast appreciation for some of the world’s most intriguing musical melodies, and a love of nature’s stunning wild “voices”. He has been involved in educating aspiring producers and songwriters in the art of music production. Robert assembled a professional team of world-class sound artisans, musicians and support staff who all play a major role in the creation of “Ensoul-A Voice For The Wild”. Yuqin was born in a small city called Changde in Hunan province of China. Growing up in a place that is depicted as a paradise in the famous poem The Peach Blossom Spring (桃花源記), she gradually developed her fascination with nature. Although after high school she mainly studied and worked in metropolis including Beijing, Shanghai, Singapore, and now Hong Kong, she loves to explore the wild such as Pantanal in Brazil, Kruger park in South Africa, Namib desert in Namibia, etc. She is always impressed by the magnificence of nature and the animals.As a strong believer of the organisation’s mission and goal, Yuqin decided to join LumiVoce to be part of the movement. Isabelle is half British, half French and has lived across the globe from Australia, France, UK, China and now Hong Kong. She has had a diverse and rewarding corporate career working with global teams in the information technology sector. Her weekends are very active with her sporty children, exploring the wonderful outdoor activities and treks that Hong Kong has to offer. As a mother herself, Isabelle is passionate about educating our future generations to protect our environment & wildlife and has been truly inspired by the passion that Ying Ying shares through her beautiful music. Originally from UK, Johanna has worked in Business Development and E-commerce in Europe, US and Asia. Johanna grew up by the coast and has always loved the sea, wildlife and nature. Since re-locating to Hong Kong with her young family, Johanna has hiked the Maclehose Trail and grown to love the incredible beauty of Hong Kong’s natural environment but has been shocked by visible the impact of humans on the seas and landscape. Impressed by the passion and ambition of LumiVoce’s team to educate school age children about conservation, Johanna has been moved to support LumiVoce with their mission. Michelle is from Singapore and moved to Hong Kong with her firm in 2016. She has over 7 years of experience in the financial industry. She loves spending her time in the outdoors as she is always inspired by nature. She believes that sustainable living starts with the protection and conservation of wildlife and the natural environment and that everyone has to do their part. She hopes to be a strong voice for the wild with the team at LumiVoce. Lisa is an educator who is passionate about all things to do with learning! During the last 25 years, she has worked in schools as a Primary School teacher, Special Educational Needs teacher and School Principal in the UK, Switzerland, China and now Hong Kong. Lisa has worked with organisations around the world, focusing on educational approaches which are innovative, research-driven, and inclusive. She is currently enrolled in a Masters of Education programme specialising in Content and Language Integrated Learning at the University of Hong Kong. Lisa has always understood the power of rich stories and music to engage learners of all ages. Knowing how emotions connect to learning in the brain, bringing the stories of conservation to life through rich texts and music, has great potential to be a key driver of change. Lisa grew up in Canada surrounded by nature. Having arrived in Hong Kong, connecting with all its beauty in nature, Lisa was incredibly saddened by the amount of plastic and rubbish washing up on her local beach; and, as a mother of 3 young boys whose future lives depend on the environment, taking action became a priority. Struck by Dr. Liu's unique approach and her passion to engage young people to be change-makers for conservation and wildlife, Lisa felt compelled to join Lumivoce and be part of the change. Eric is a sophomore student studying in The Hong Kong University of Science and Technology (HKUST) with a strong interest in performance art and loves the wild. He enjoys hiking and exploring the Mother Nature a lot. With previous experience in stage performance, he was intrigued by the idea of making a positive impact to the world through art and music. His passion of trying to make a difference through music brings fresh perspective to the team. He was attracted to LumiVoce in hope of meeting like-minded friends who could make an collective impact to the world. Beckie is a penultimate year student in The Hong Kong University of Science and Technology (HKUST) with dual major of Information Systems and Management. She enjoys music, doing yoga, reading and making desserts. During her spare time, she also loves playing with her cats and other animals. Beckie was first inspired by the enthusiasm she found among the people of LumiVoce. She was moved by the founders' enthusiasm of educating future generation about spreading the message through music.